Progressive & Thought Provoking Discussions about Wild & Domestic Animal Behavior, Animal Careers, Animal Training, & More! All content © by Diana L. Guerrero unless otherwise noted and may not be reprinted without prior written permission. All rights reserved. Click here for reprint permissions and fees. Interested in canine hybrids, considering obtaining one, or already entrenched in ownership of an animal that is too complicated for your lifestyle? This article will touch on different issues surrounding wolf dogs also known as wolf dog hybrids. There are seven parts to this comprehensive wolf dog series click here to start at the beginning. Photos Copyright © By Monty Sloan & Jill Moore Porter. 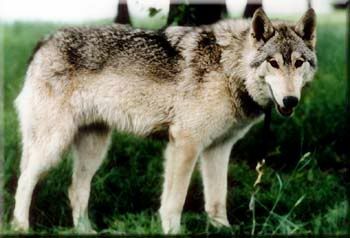 Wolf dog hybrids and the topics related to them tend to evoke strong emotions. Wolf dog hybrid breeders and people who claim to own a hybrid (but who often only possess a mutt) claim that they make great pets. However animal professionals take the opposite view and are usually the people who take a stand against the trade of these animals. The animal professionals that I am discussing include employees of animal control agencies, animal sheltering facilities, humane organizations, and animal behaviorists, animal trainers, conservationists, and more. People in these professions are the most concerned with animal welfare and are the same people who are dealing with the repercussions of the trade. Those of us who have firm convictions that wolf dog hybrids are not good pets have reasons for that belief. Since 1978 I have worked as an animal behaviorist and trainer with both wild and domestic animals. My professional experiences with this type of animal include: working at a facility that was involved in breeding wolf-dog hybrids; working with wolf-hybrids in the movie and television industry; care-taking hybrids in captive conditions; working with other animal handling professionals that had/have wolf-dog hybrids; working in the animal shelter and animal rescue industry; and working with people who have obtained wolf-dog hybrids as pets and are having problems with them. What I have noticed is that over the past eleven years the animal welfare organizations, veterinary associations and management agencies all have found it necessary to address the issue of wolf dogs. In addition to other professional groups, the National Animal Control Association, American Humane Association (AHA), Humane Society of the United States (HSUS), and the American Society for the Prevention of Cruelty to Animals (ASPCA) have all spent their time and resources to educate people about why wolf dogs are not good pets. In the past, other groups have had discussions on some of the issues. 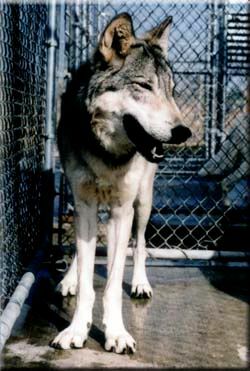 For instance, the National Association of State Public Health Veterinarians considered wolf dog hybrids to be wild animals (not pets) for the purposes of rabies control. However, the 1990 resolution by the Wolf Specialist Group of the International Union for Conservation of Nature and Natural Resources says it best. They actually found it necessary to pass a resolution pertaining to wolf dog hybrids since they consider these animals a threat to wolf conservation. Their recommendation is that these wolf hybrids be prohibited or at the very least strictly regulated. If you love wolves and want to conserve them we urge you to not support or endorse the commerce of wolf dog hybrids. Adopt a wolf conservation project or sanctuary animal instead. I'd like to express my thanks to the following people for their frank input and information: Donna Gatewood, Pat Tucker, Bruce Weide, Bruce Joell Severns, Kat Mills, Beth Palmer, Barbara Berge, Monty Sloan, and Nicole Wilde. TY to Monty Sloan and Jill Moore Porter for permission to use their photographs. Gracias also to my writing partner, Dr. Jennifer Eichstedt, for her review and editorial suggestions. Diana L. Guerrero, author of this series, is an animal behavior consultant and animal training coach with extensive experience in many areas of the animal world. She first began working with wolf-dogs in 1979 and discourages the ownership and breeding of these animals.